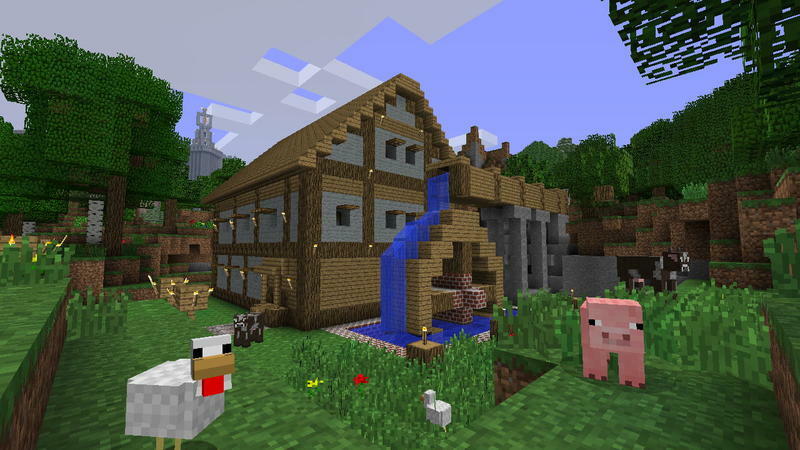 Last week, 4J Studios and Sony announced the European release date for Minecraft on the PS Vita. They have the game slated for October 15th. At the time the American release was still a question mark. Now, the North American arm of PlayStation has clarified the release date for gamers in the states. Minecraft hits the PS Vita a day early on October 14th. That's right, while the launch date was announced later, the game will actually be in North America a day sooner than European markets. Minecraft will sell for the PS Vita at the standard price of $19.99. It's a Cross-Buy game between the PlayStation 3 and PS Vita, so buying it once on either platform will let you get it for free on the other. PlayStation 4 owners will need to cough up an extra $4.99 to upgrade from the PlayStation 3/PS Vita version. Cross-Save is not possible between generations because of the map size jump with the PlayStation 4. Bigger maps means that it'd be impossible to move to smaller platforms with saves. Minecraft sounds pretty good on a platform like the PS Vita. I can't stand the game on phones and tablets, but that's because I hate virtual joysticks. The PS Vita might solve my little quandary.